NOTES Unlike some early schoolhouses that accommodated students in grades 1 through 8, the Schulenburg School was only used for the lower grades. When children reached a certain age they would attend Lincoln School on North Fourth Street. 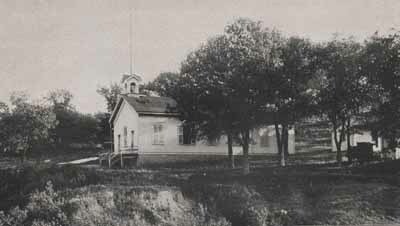 Schulenburg served Dutchtown residents as a school until it closed in 1937.There was, however, a continued life for the old Schulenburg School after the students left. The building was often used for meetings, plays and get-togethers, making it a community center for the local people until it was burned down. 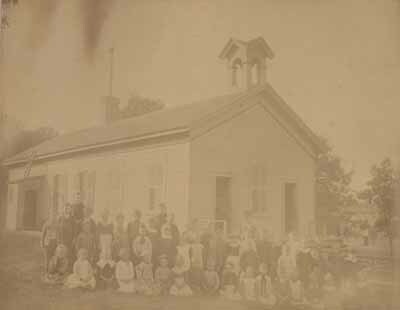 Schulenburg School students circa 1891.